I am a big fan of jewelry. Especially affordable jewelery. Unfortunately, it seems that the stuff I can afford appears to be poorly made and tarnishes or falls apart after a few wears. I have been to plenty of in-home jewelery shows, and it seems as though much of what I find there is so much alike. So naturally, when I discovered Stella & Dot, I was thrilled with the unique and versatile selection! Stella & Dot has been featured in Gossip Girl, In Style, and Lucky Magazine as well as on the wrists and necklines of today's hottest celebrities. I recently connected with Stella & Dot stylist Jennifer Giobres, and received this beautiful Olivia Pearl and Ribbon Necklace (ARV $44). When I saw it on the website, I immediately fell in love with it. I have always loved pearls, but I feel kind of matronly wearing them. These pearls, twisted in ribbon, look and feel fresh and youthful. I was also surprised by the size of the pearls! These are not tiny, delicate pearls. This necklace surpassed my expectations; the unique styling allows it to be worn with casual or dressy apparel. But you want to know the best part? One lucky Only Parent Chronicles reader will win their choice of one of these three Stella & Dot pieces! To win: This giveaway is open to residents of the continental United States only. If your email address is not visible in your profile, you must leave it in your comments. To be eligible, you must publicly follow Only Parent Chronicles via Google Friend Connect. Winner must reply within 48 hours of notification or a new winner will be selected. Giveaway will be open from 9:00 am July 20, 2011 through 5:00pm July 27, 2011. Mandatory entry: "Like" Jennifer Giobres, Stella & Dot Stylist on Facebook. Additional entries: Please leave a separate comment for each entry. ~ Follow @Kristin_OPC on Twitter. Leave your user name in comments. ~ Like Only Parent Chronicles on Facebook. Leave your Facebook name in comments. ~ Join the Only Parent Chronicles community on Blog Frog. Leave your Blog Frog user name in comments. 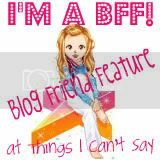 ~ Start a disscussion in the Only Parent Chronicles Blog Frog Community. ~ Contribute to an existing disscussion in the Only Parent Chronicles Blog Frog Community. I received one necklace free of charge for review purposes. I was not otherwise compensated for this post, and all opinions are mine. That necklace is awesome! I love the pearls! I have yet to order any Stella & Dot jewelry but I'm on their site all the time. They have some really great looking jewelry! I liked Jen on facebook. I liked on facebook (nicole lenz). When you give away a FEX, I'll enter! i'm a follower and i like her on fb! i need that bracelet!! I like Jennifer on FB. "Like" Jennifer Giobres, Stella & Dot Stylist on Facebook. I liked Stella & Dot on facebook! Following @Kristin_OPC on Twitter @hle123. I like her FB page! I like Jennifer Giobres, Stella & Dot Stylist on Facebook - Rebekah F.
I liked Jennifer Giobres, Stella & Dot Stylist on Facebook. 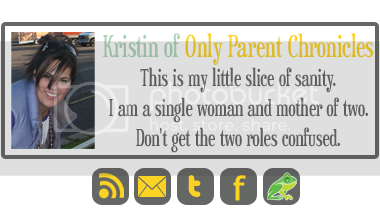 I follow Kristin_OPC on Twitter. I "like" Only Parent Chronicles on FB. I joined you on Blog Frog. I like Jennifer Giobres, Stella & Dot Stylist on Facebook.